Centaur Travel Business Management System (TBMS) is designed to meet the day-to-day operational requirements of tour operators offering pre-packaged, in-bound tours, FIT (flexible itinerary travel / custom itinerary), group, cruise, fly-drive and custom tour packages. Centaur TBMS can support the most demanding sales, marketing, call center, reservations, accounting, customer service and back office process requirements for tour operators of any size. With Centaur TBMS, tour operators can manage customer interactions for maximum profitability and maximum retention through all stages of the sales and service cycle. And, because Centaur TBMS modules can be easily integrated with legacy and back office systems as well as third party systems like CRS's, payment processors, operators can deploy the system cost effectively while leveraging their existing IT investments. All modules of the platform is accessible using a web browser. The Centaur Travel Business Management System provides a full suite of tools that range from online reservations to back office automation. By providing a consistent level of service and recognizing prospects across every channel, the Centaur TBMS helps share relevant real-time and historical customer information across the organization. Centaur TBMS software provides an intuitive online reservation interface so your customers can easily book your tours, lodging or rentals. Centaur TBMS software provides all the tools you need so you can efficiently make reservations on the phone or in person. We provide a powerful marketing component including email automation to help you expand your reach. Our software offers tools to help your operations run smoothly and guide you with extensive reports while ensuring security at all levels all the time. We provide simple and efficient process flows that help you analyze cash flow and profitability. We understand the fact that unless security patches and updates are applied and newer supported versions adopted, such software will become increasingly vulnerable.We rely on cryptographic protocols that provide communication security over the Internet and continuously subject our software to third party security checks to meet the PCI compliance. The role of a MIS is to provide information at a glance that helps to understand the financial and operational health of the business.With Executive Dashboard in Centaur, this comes in the form of a fine set of information tuned to serve the industry needs. What is vital for any path breaking software is to have good administrative functions so as to monitor and sustain the processes in place and beef up operations. Centaur TBMS has provided us with an affordable, efficient and reliable platform to manage the day-to-day tour business operations of Country Travel Discoveries. We have found the team at Centaur Systems to be responsive, enthusiastic and creative in working with our company’s needs. I highly recommend Centaur platform to any tour company evaluating a tour management system. John Stachnik CTP, CTC President Mayflower Tours, Inc. The team at Centaur Systems are always available to assist DuVine Adventures. As a leader in the adventure travel it key for us to have a good partner with our database, client management growth, and I am very pleased to work with Centaur Systems. We were going to select a product from another company, but they had the very poor customer service and did not care about our growth nor our business. The team at Centaur Systems does back flips to make sure the application is the best and most updated. Myself and my staff has been very pleased with Centaur TBMS and we will continue to work with them. In our quest for a quality reservations system, there were many requirements , which were narrowed to four major "must haves" - functionality, affordability, scalability and on-going support. Most systems we had reviewed in the past showed promise in some of these areas, but not all. We are pleased to say that Centaur TBMS has successfully met these requirements in all areas. We are glad we selected Centaur TBMS. Centaur has really enabled our staff to manage a lot more business and added the needed transparency to our team to have access to all available tours and their associated bookings. Centaur has been flexible and responsive to our specific company needs and finds a way of accomplishing what our customers demand. 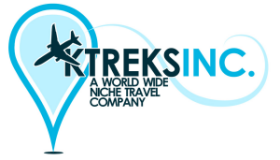 Also added customer specific Online Booking portals to co-brand our individual tours to our customer's members while still rolling up all of the bookings to our overall tour departure dates for al co-branded sites. Our reservations system has necessarily evolved over the many years we've been with Centaur, and the team has been highly responsive in working with us to customize and develop new solutions to meet our changing business needs. Whether it's creating tailor-made marketing and operations reporting tools, growing our ecommerce capabilities, or periodically updating the system with (unasked for) functional and interface improvements, the team impresses with its "can-do" attitude, timely responses, and effort to consistently, proactively improve its product. Our Company has been using the Centaur System for over ten years. While no system is perfect, Centaur has upgraded there system consistently, and has been responsive to our needs. They have proven to be a reliable supplier and we wholeheartedly recommend their services. Barry Gerber President THE Travel Authority, Inc.
We have been on the system going on for more than 10 years. With ANY system there is always going to be an issue someplace or some problem on an update, but know that you will have that with any system you work with.What is refreshing with Centaur TBMS, is the speed at which things are fixed and how seriously a minor issue is resolved. And to top it off, it is resolved correctly. Our uptime for our reservations system is better than any other server we run in-house, and I really do not remember the last time we were down, as it has been years.The other side of the coin is security compliance, which is tested by a third party on a quarterly basis, and we atre passing every quarter. So if you are looking for data to always be on for you,but not on for the bad guys, then Centaur TBMS should be a serious option. Mike Kasmauskis President Image Tours, Inc.